Wonderfully faceted and luxuriously colored fully natural and unenhanced Zambian Emerald! 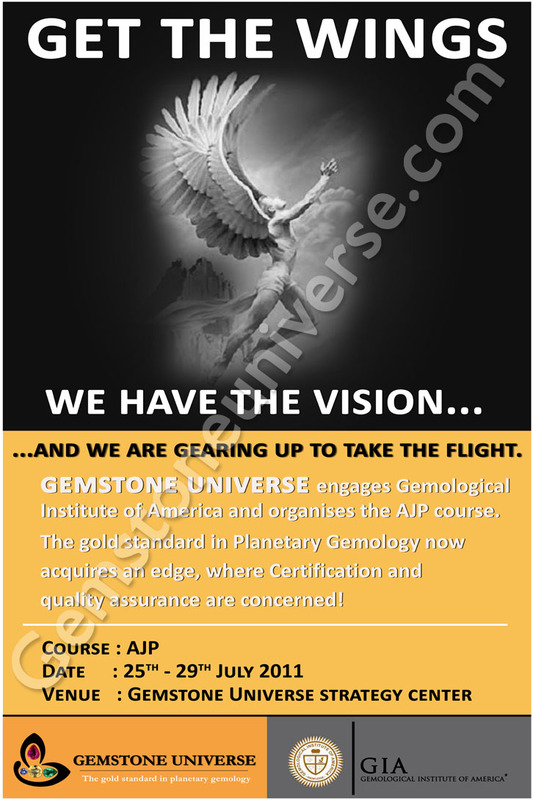 With awesome clarity, this one is a superfine example of what a Jyotish quality gemstone should be! With a fertile and Sattvik presence, this exceptional Natural Emerald set in a 22 k gold ring is all set to deliver the best results of the planet of Business and finance – Mercury! 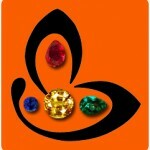 Comments An AHA moment for us here at Gemstoneuniverse.com! Having made this Opulent and royal gemstone available to one of our esteemed patrons is indeed an honour! 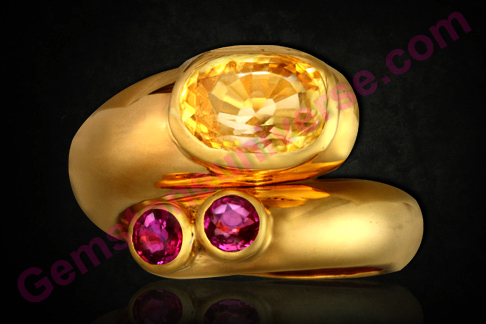 An outstanding and ornate gemstone that is rare, a collectible and of astounding beauty! 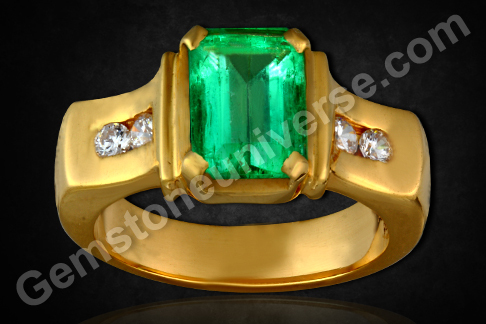 This gemstone with an enriching Deep rich green color, and clarity that amazes. Add to it a traditional Emerald cut that is just perfect! A fully natural and unenhanced Colombian Emerald with the potent and Sattvik Jyotish powers of the planet of Business and finance – Mercury! 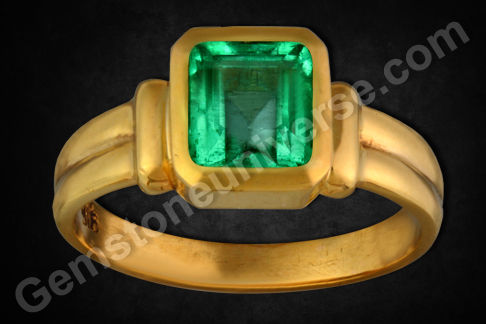 This rare and collectible Emerald is set in a wonderful 22k Gold ring ready to beget the wearer the best results of Mercury! 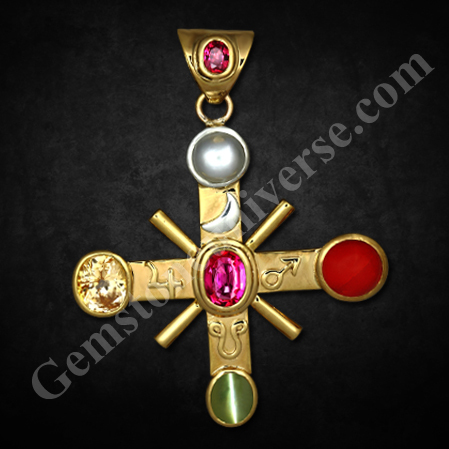 A spectacular piece of jewelry and a magnificent Talisman! 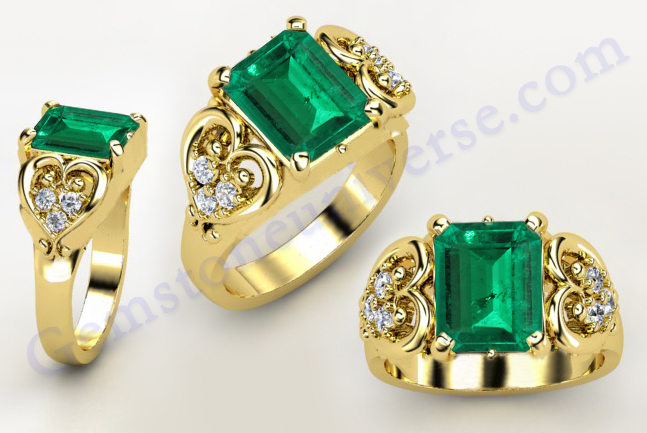 Selected Rings, Pendants and Talismans made available to Gemstoneuniverse.com patrons in July 2011. Comments A pure white Australian Natural Pearl with soothing cream overtones, and translucent nacre that glows with the divinity of the Moon! 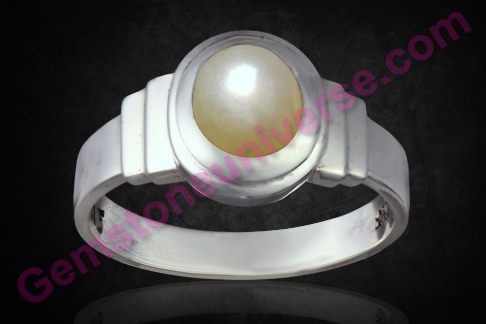 A 3+-carat Natural Pearl which full in size, filled with the best Lunar energies and enriched with a Sattvik aura! 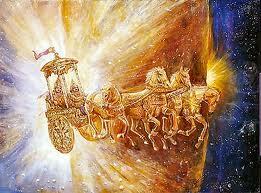 Also filled with the best of the Moon’s Jyotish powers! Set in a sterling silver ring and all set to grants its immense gifts! 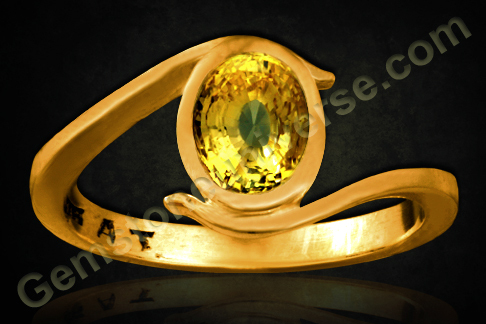 – Yellow Sapphire and Ruby Kundalini ring! It is not every day that an enchanting piece of jewelry or a talisman is crafted that evokes equally intense emotions. 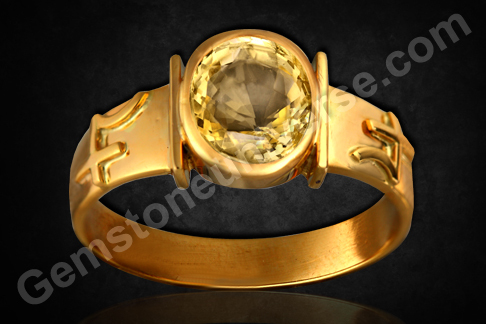 The latest offering from Gemstoneuniverse is a stunning Yellow Sapphire talismanic ring in gold with rubies accentuating the Yellow Sapphire. The patron, a connoisseur of fine gems and highly perceptive of energy presence took an active part in helping work out the final design…and what a visual treat it turned out to be! The lustrous, superfine, natural, unheated Yellow Sapphire from Sri Lanka sits resplendent in its glory – its splendor highlighted by two natural Tajik rubies that are two little packets of delight by themselves. The Talismanic ring is not just aesthetically pleasing but is a powerhouse of divine energies. The combination of stones is extremely powerful. 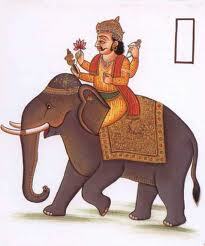 Ruby is the gem of Sun – Surya who is the King of the Zodiac. 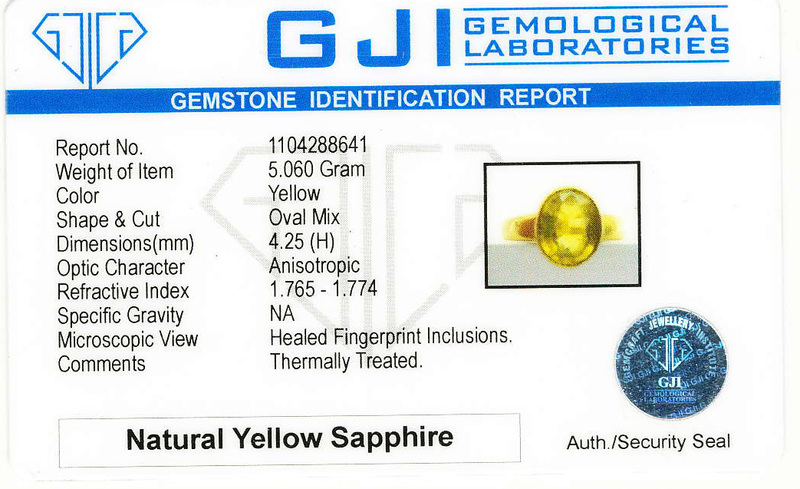 Yellow Sapphire is the gem of Jupiter – Brihaspati, who is the guru (leading light/ mentor) of the Devas. Just consider the benefit of having the benevolence of the king and the grace of guru himself – the energies of the King and the power behind the throne too, helping you navigate through life! It is definitely a force to reckon with! The coiled design element is symbolic of the Kundalini, the silent serpent power that lies dormant at the base of the spine, until the time has come for an individual to realize the ultimate goal. You can take a look at the video of the ring and experience the harmonious blend of divine energies, craftsmanship and aesthetics. One cannot help but think of the treasure that came up during Samudramanthan – the Great Churning of the Ocean. The divine gems or ratnas were a part of this treasure. Here goes the lore: The devas had been cursed and had lost their power and strength. Bali, the asura ruled the universe. When devas (gods), feared downfall at the hands of the asuras (demons), they conned the asuras into helping them churn the ocean which would bring up the nectar of immortality. 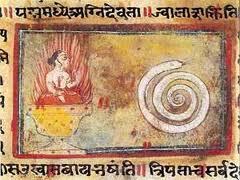 The Meru Mountain was used as the dasher for churning and Vasuki, the serpent volunteered to do the rope’s function. He coiled his body around Meru. The devas held the tail end and the asuras held the mouth and thus began the churning from which emerged the most valuable treasures, the gems being one of them. Beautifully Sculpted representation of the Samudramanthan at the Suvarnabhoomi Airport, Bangkok. 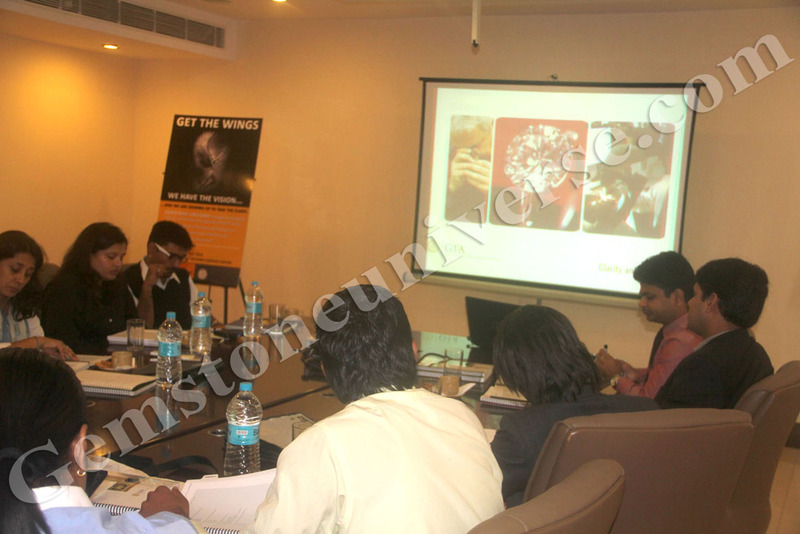 Thailand is the world’s hub for gem trade! Mythical element notwithstanding, the lore is highly symbolic which in reality goes on to say that great effort must be put in, desires must be won over before the real treasures can be got. 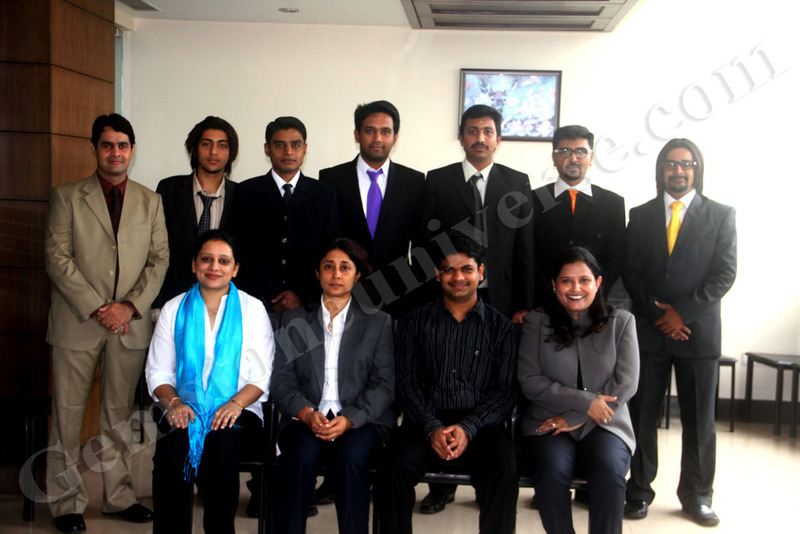 Thank you dear patron for giving us an opportunity to create this piece.